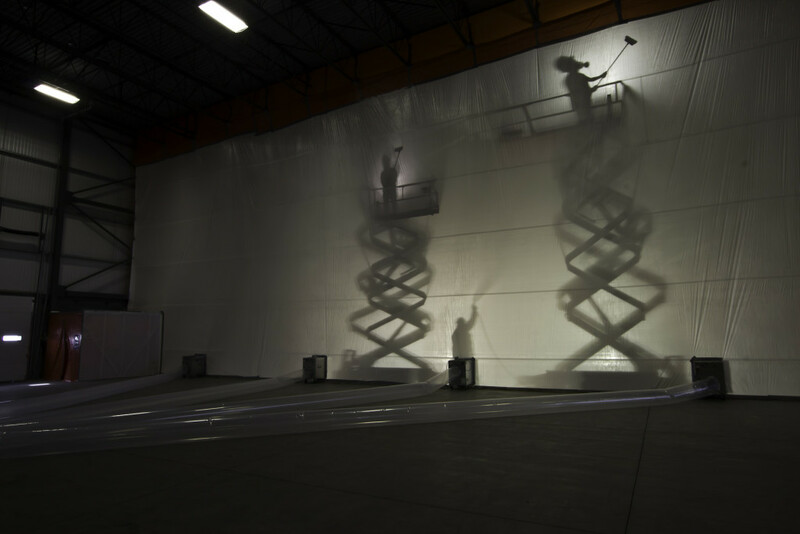 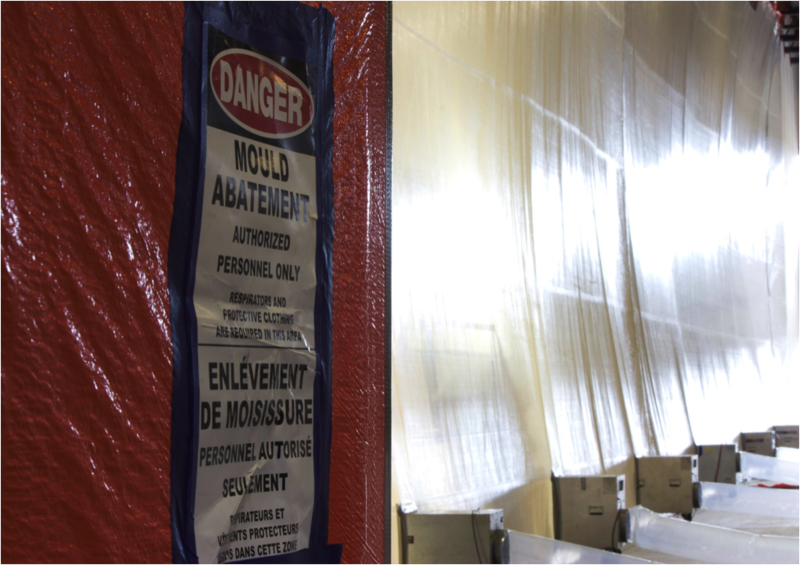 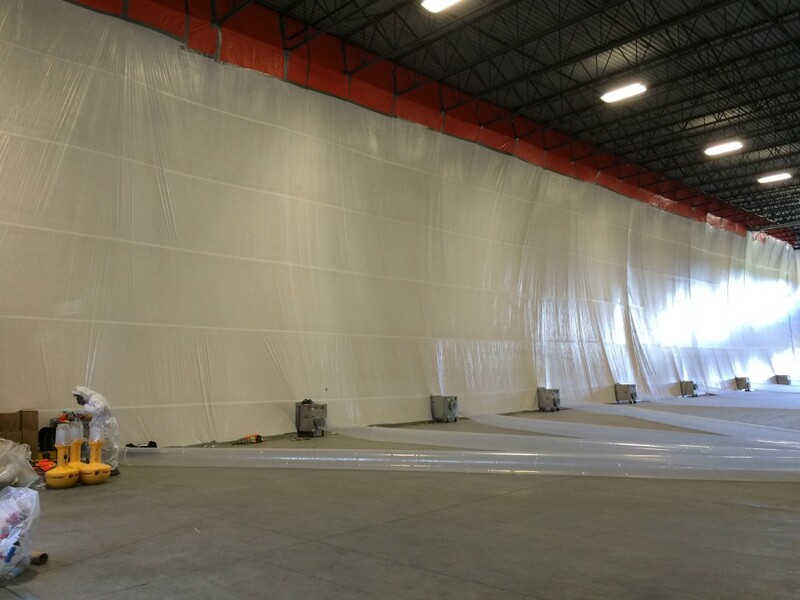 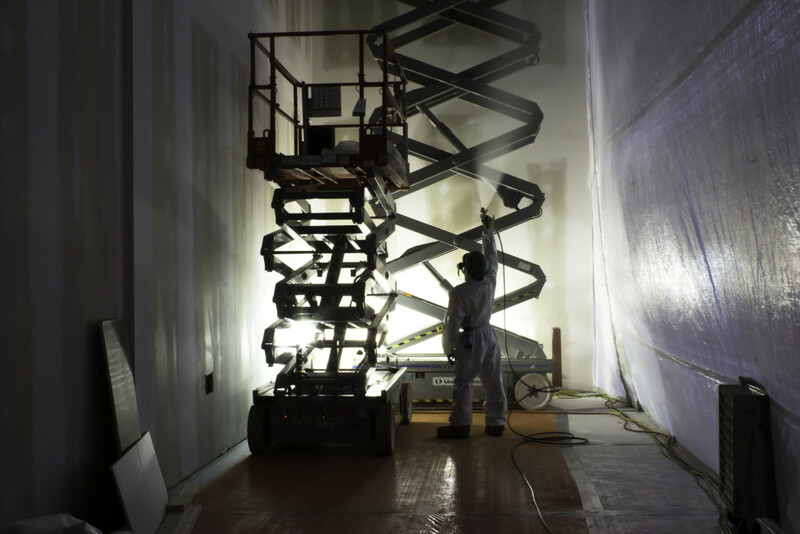 The wall separating a large food supplier from an empty bay decaying from fungal contamination required removal while not disturbing production of the occupied side. 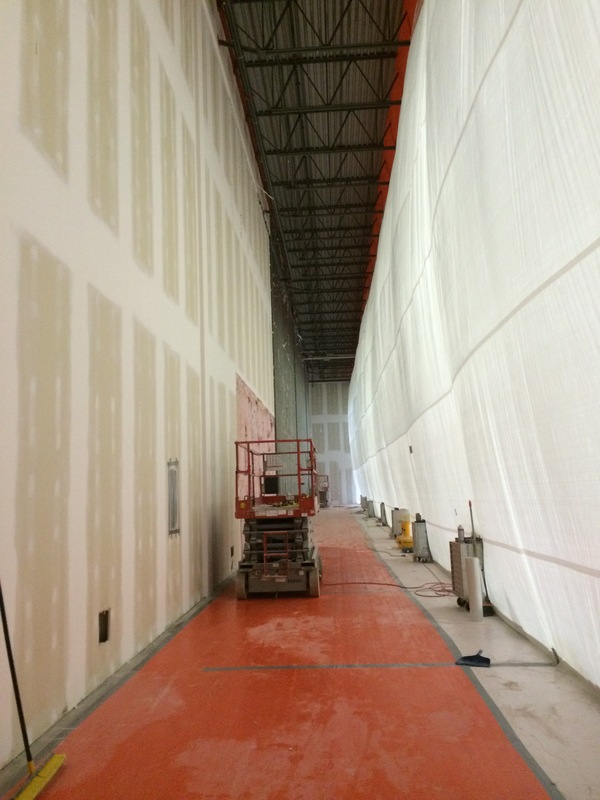 The wall was over 200 feet long, over 30 feet tall, and had four layers of drywall. The project was scheduled to last four weeks and was completed in two.